Oreoluwa’s Maid For Me: Are You Patronising An Agent or A Slave-Trader? 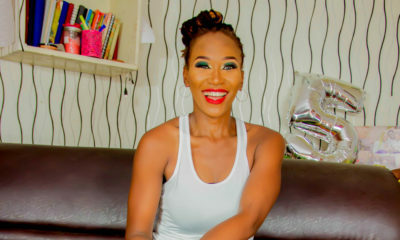 Oreoluwa's Maid For Me: Are You Patronising An Agent or A Slave-Trader? I have always silently wondered why families stick with their maids even when they do so many things that are wrong. Many women complain about how their maids do not clean well, they steal, obsessively lie, destroy cherished property and so on. But while listening to their stories, I notice the maid is still being referred to in present terms, which means she is still in employment. You see, I think having a maid in Nigeria can be equated with having an inherited item. You keep it not because it is of any good to you, but because it was given by someone you hold dear, or because you it cannot be easily replaced. A family hires a maid and so keeps making excuses for her unnecessary shortcomings. “What if she was my child?”; the question that reinforces why she can’t be replaced. They provide everything within their means for her well-being, but they also beat her at will and dish out punishments as they deem fit, because that is what parents do. She does so many things that should naturally make them terminate her, but when they think of what they went through to hire her, they decide to just manage. After all, everybody has their not-so-glorious side. In all of these, one thing that can be noticed is that this family may never think of picking up their phones to ask for a replacement from their agents, because they are not getting value for the salary they pay every month. It is very surprising, because I worked in a bank for a while and in my time there, one thing that I witnessed was a high turn-over of cleaners. Once a cleaner was consistently doing a bad job, after a while we would call up the agency and ask for the cleaner to be replaced. The agency had a sense of responsibility towards the organization. I suppose this responsibility stemmed from an agreement which must have been in place as at the time the relationship was established. But in contrast, for the domestic housekeeping industry, many “agents” who source for maids are more concerned about their pockets than offering value. Their businesses are supported and sustained by the ever increasing demand for domestic helps in homes. 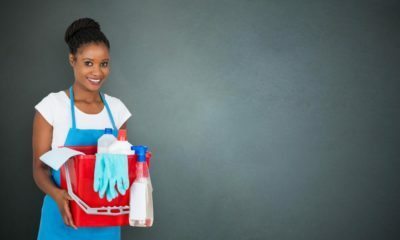 Because needing to hire a maid always comes as a pressing need, employers have little or no time to go through a thorough process. The question becomes “how soon can I get someone?” This gives these agents the motivation to go all out to get different kinds of people; some innocent and naive, some callous and dark-hearted, to “sell” them to families. The only assurance you get is “She can work”. The moment the maid moves into your home, the agent disappears. Every thing you may face with her is left solely to you to handle. And if you ever conceive the need to report her to anyone, the advice you get would be to pray to God. This right here is where bad maids come from. It is not because there is a factory that specializes in manufacturing and distribution of bad maids, but because there is an anomaly in the system that should put measures in place to ensure they do not occur in the first place. An anomaly that is patronised and sustained, by the employers. Ironically, we are the ones who suffer the consequences; talk about shooting oneself in the foot. But, agent that cannot replace a bad maid after you have paid him money, is that one agent? 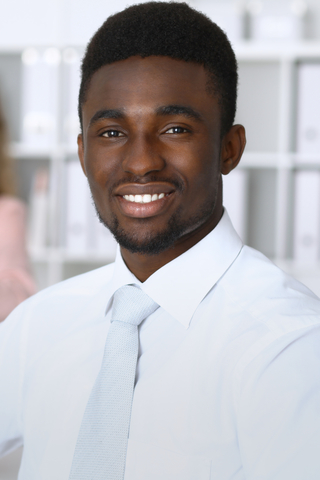 Ideally, we should patronize agents/agencies who have a registered name, who will be the voice of assurance to the employer that whoever they outsource to you is best fit for the job. They should be responsible for conducting background checks with proof, providing a confirm-able guarantor and preparing a well detailed contract alongside a lawyer, that protects both the maid and her employer. Their job should not just stop when the maid resumes, they should track progress and ensure that her employer is getting value. Any body or company that cannot provide you with any of these services should not be regarded as an agent, but a slave trader. I read a woman’s experience some weeks back, how her maid left when she was away during the day and left her six months old infant in the house with the door open. Thankfully, a neighbor discovered and called her. When she tried reaching the agent, he pretended it was a wrong number and afterwards, his number became unreachable. She had already paid six months advance in salary. I asked myself why she could not report to the police which would be the ideal thing to do. The truth is, she would barely have a case, if there was no proper documentation of every transaction. Hiring maids from these people means we are literally leaving our homes and kids in the hands of a total stranger with nothing to fall back on if anything goes wrong. A slave-trader does not have your best interest at heart, and neither does he/she have the best interest of your maid. We know these things, but as Nigerians, living life is all about taking risks; including the terminal ones. Many maids are bad, very bad. The sad reality is that some of them have every reason to considering where they are coming from. But they would remain in their homes if we didn’t pay to have them. So next time I am tempted to joining the bandwagon saying “maids are necessary evil”, I’ll ask myself if I have done everything on my part to make sure I hire right. Please does anybody know the appropriate government office where one can report child abuse case. Someone in my block of flats is abusing her maid a very small girl, they beat her daily, rain curses on her, she works from morning till about 1am and they only give her Ijebu garri or agege bread everyday to eat. she is not allowed to eat cooked food in the house and they would not allow her to go out and buy food. The saddest thing is that her Mother died 2 months ago and they still have not told her beacuse they don’t want her to go and not come back. Just last Sunday they beat her till she passed out just because she was late coming back from the shop when they sent her to buy sardines. Please somebody give me a phone number to call as the numbers I got off google are not working. I am desperate because they will kill this 11year old girl, she is an orphan her father died 5yrs ago that is why the sent her to this evil people. Hi Somto, you can report them to the police or go to Alausa to the office of the Lagos State First Lady. I have been following maidforme on Facebook for a while now and I’ve been inspired always by the write ups. My perspectives towards getting maids has really changed. Well done Ore, you are doing a great job in this sector. Looking forward to reading more tips. Recently, I have become really curious about this whole domestic staff issue in Nigeria. I would like to hear/read peoples PERSONAL experiences with ‘maids from hell”, when we talk about the evil maids, I am curious about this young ladies or even girls ages and backgrounds. Hi Ore, awesome article.You totally hit the nail on the head. I think people should hire maids from trusted agencies because you can save yourself and your family the drama of child abuse, child kidnap and generally bad maid services.